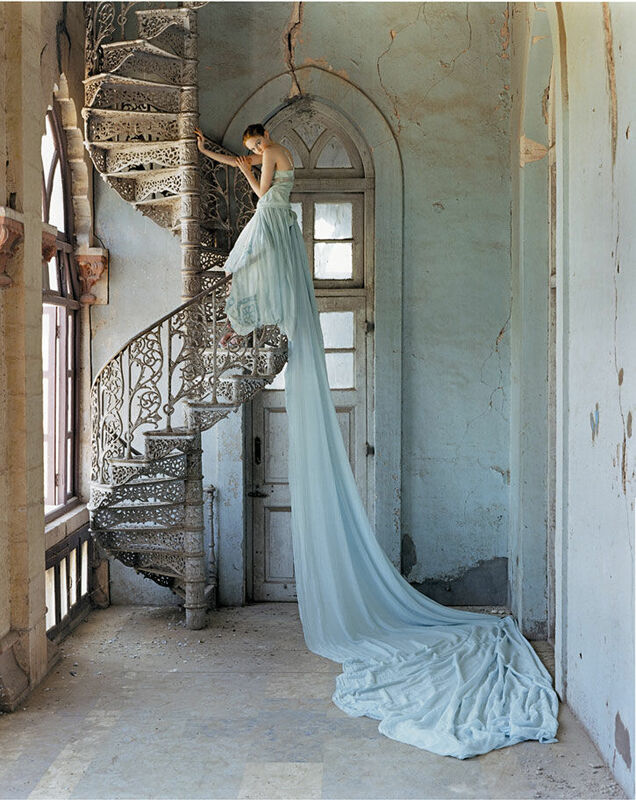 British fashion photographer Tim Walker is known for his eccentric and extravagant shoots that often employ a romantic motif. Tim Walker's editorials can often be found in the biannual British publication Love Magazine, and carries out shoots for Vogue on a monthly basis. Often creating surreal and eerie images with the use of over-sized props, Tim Walker creates an unnatural and magical world in each and every one of his shoots. An example of such a whimsical photo story is Scarlet Johansson's W Magazine feature in which she is costumed as Giulietta Masina's character in Federico Fellini’s ‘La Strada’ and Buster Keaton, among others. Most recently, Tim Walker shot the 'Checking Out' story for Vogue US April 2012, which features Kate Moss at the Paris Ritz in a lavish and immaculate spread to mark the beginning of the iconic hotel's three-year renovation stint.